The end of World War II saw a shattered Germany divided into the Federal Republic of Germany (West) and the German Democratic Republic (East). 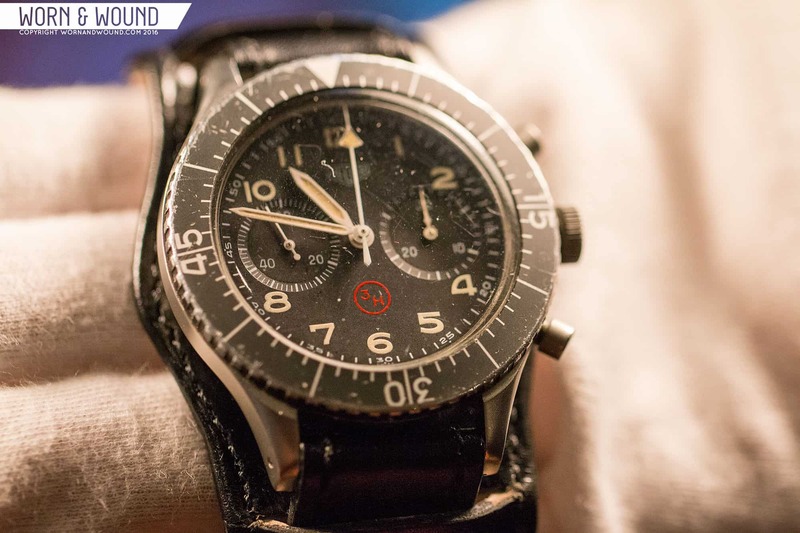 In Part 2 of the third and final installment of our series focused on military watches from around the world, we are going to take a look at German military watches post World War II through the present. In 1959, Junghans delivered the J88/0110 to the Bundeswehr (unified German military). This is a dual-register, two-button chronograph without a flyback complication and it’s fitted in a brass case. The watch has a 30-minute counter and a running seconds counter, as well as a rotating bezel, which would later be replaced with a 12-sided scalloped bezel on the model 0111 introduced in the mid-1960s. J88 chronographs. Image via vintage_kronos on IG. Beginning in 1967, the Bundeswehr began issuing a watch produced by Heuer—the famed 1550 SG—to soldiers in various branches of the armed services, but particularly to pilots. The 1550 is a dual-register flyback chronograph housed in a 42-millimeter stainless steel case and powered by the Valjoux 22, 220, or 230 caliber. Though there are several dial variations in existence, all 1550 SGs feature a rotating 60-minute bezel, running seconds at nine o’clock, a 30-minute totalizer at three o’clock, a central chronograph second hand with flyback functionality, tritium lume, and a front-loading movement with a case back affixed via four screws. Many of the dial variations feature a red “3H” inside a red circle, a symbol indicating the presence of tritium. Sinn held the contract to service these watches in the 1980s (they were in continuous use well through the 1990s). Their watchmakers would sometimes use a replacement dial bearing the Sinn name if the original dial was in rough condition, and so it’s possible to find a genuine issued 1550 bearing Sinn branding rather than Heuer. Though Sinn submitted its iconic 156 for consideration as a military chronograph, in 1979 it was an Orfina/Porsche Design that won the tender for its military chronograph Ref. 7177 featuring the legendary Lemania 5100 movement. The Ref. 7177 was originally designed with motorsport in mind, and it was subsequently purchased for issue to NATO personnel; however, a certain quantity was also purchased specifically for issue to BUND personnel, and these variants have the word “BUND” on the case backs above the NSN (National Stock Number). Image via A Collected Man. All of the military variants of the 7177 feature a red circled “3H” indicating the presence of tritium on the dial, and it seems that most featured a 12-hour chapter ring. Cases were either natural stainless steel or a dark finish that was either applied via passivation or with a powder coating. Beginning in 1982, Arctos introduced a highly similar version that was also issued to Bund personnel, followed in 1983 by a version from Tutima that went through several iterations, and one introduced in 1990 by Tengler issued specifically to artillery personnel. In the mid-2000s, a titanium quartz watch produced by Tutima/Boccia was issued to German expeditionary forces serving in Afghanistan. This piece features a Miyota movement, a sapphire crystal, and a backlit LCD readout featuring dual-time, alarm, and stopwatch functionality in addition to a traditional 12-hour dial. These watches may have been originally issued on a simple black pass-through military strap, though later (around 2008) they were issued on a leather strap that provides a large protective surface for the case back called a “Bund” strap. Production seems to have been about 15,000 pieces and all were intended for military use, though it is likely that not all watches were issued. As of today, the Tutima/Boccia still appears to be the watch produced under the most recent spec for issue to German armed forces. Tutima/Boccia Bund via chiefmatex on IG. This particular reference is 728/06, though there are some other slight variants also in existence. However, there do exist certain newer watches made by German manufacturers for issue to specific units and their operators, such as the Sinn EZM2B made for GSG 9 (Grenzschutzgruppe 9, or Border Protection Group 9, the elite tactical unit of the German Federal Police). As GSG 9 is sub-divided into several smaller sub-groups, one of which deals specifically in maritime operations, the unit needed a watch that was rated for both land-based and underwater use, and Sinn answered the call by developing a special version of their EZM mission timers. The EZM 2B is constructed of high-strength steel and is oil-filled for maximum legibility underwater. It also features Sinn’s Tegimenting technology for added scratch resistance, a sapphire crystal, water resistance to 1,200 bar, a destro crown, a diving bezel, and a high-precision temperature-compensated quartz movement. Another watch developed with a particular military unit in mind, but also available commercially is the Seebataillon GMT from Mühle Glashütte (see our review here). 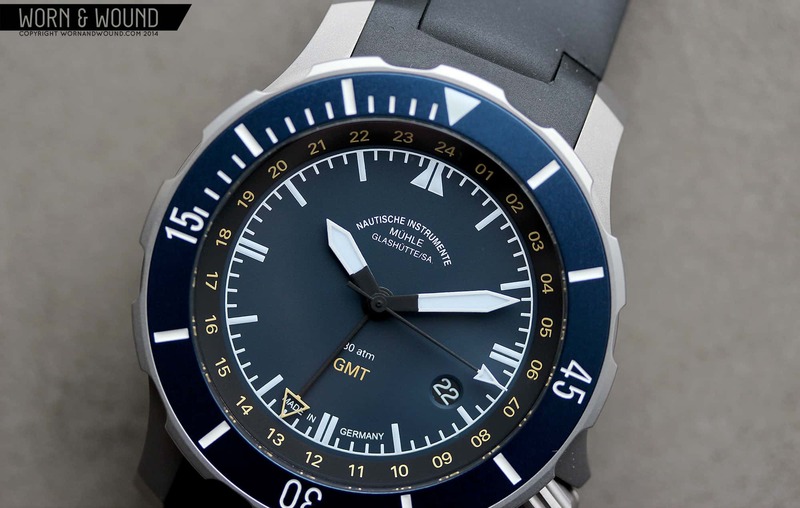 The Seebataillon GMT, developed for use by the German naval force protection unit, is a 44-millimeter, titanium-cased automatic watch with GMT functionality based on a modified SW300-1 movement. It features a bi-directional bezel, a domed and anti-glare sapphire crystal, a screw-down crown, and 30 bars of water resistance. Due to its setting as a hotbed of both watchmaking tradition and innovation, Germany is uniquely poised to continue designing watches for its own military units and special forces, and unlike many other countries, it has the manufacturing prowess to build them largely within its own borders. It remains to be seen what further innovations will emerge in coming years, but given its history of form-forward design, one can only imagine that Germany has a long future of military watchmaking ahead.